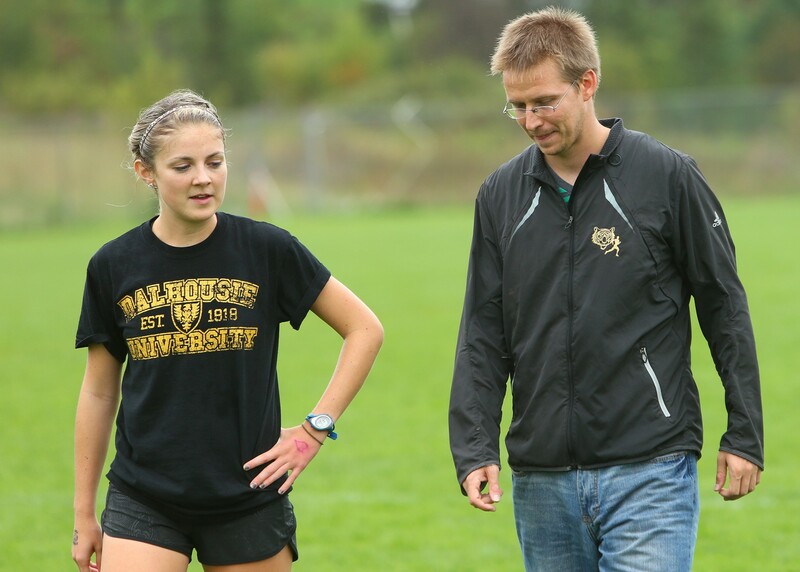 As a coach and one who has survived and thrived after my fair share of injuries, one of the most frequent questions I’m asked is… How do I get back into running after a long layoff? Oftentimes layoffs are out of our control, due to circumstances like an injury or in many cases right now–a seemingly never-ending winter. The secret to getting going again is to sneak your way back into movement so you don’t create an overuse injury, and at the same time change your belief system so you don’t tense up as you run. As the weather improves, it’s natural to want to run until your legs fall off. So here are some simple things you can do to keep yourself safe, help you improve quickly, and set yourself up for an injury-free season ahead. Is your body ready to get going again? How much time off have you had? What’s your body like now? Step back and honestly assess your body and where you’re at. If you’ve had a long time off, make sure you take plenty of time to get going again, no matter how fast you used to be. First, are you sure your injuries are healed? It’s a silly question, but if you’re unsure, get it checked out. If you’re not healed or need work, then getting going before you’re ready will only hurt, rather than help you. Second, do you know why you got injured in the first place? If not, then there’s a fair guarantee you’re going to reinjure it sooner or later. Try and determine why you got injured in the first place. This may take a coach, a PT, or some introspection and intuition. Third, look for imbalances. Often injuries are caused by muscle imbalances or tightness. If you suspect that’s the case, this can be taken care of in the gym with home exercises and with extensive stretching and body work. I’d highly recommend you check out a local yoga class this spring if you have a chance, preferably a restorative or yin yoga class, you’re not trying to turn yourself into a pretzel, but to heal and grow strong! Coming back from injury and getting going after a lay-off period requires gently testing the waters. Sure, you could just dive in, but if so, you’ll likely face an injury. Some of the common spring injuries are strains in the Achilles, calves, hamstrings, or IT Bands, tendonitis in the knee, stress fractures and shin splints. In fact, doctors see a significant rise in shin splints cases amongst runners during March and April. Why? A) We do too much too quickly, and or B) We go out and buy over-supportive, motion controlling shoes which start twisting our feet and shins as we run. So if you’re coming back from injury or many months off, start with only 100 yards of running your first day, or only one minute in duration. 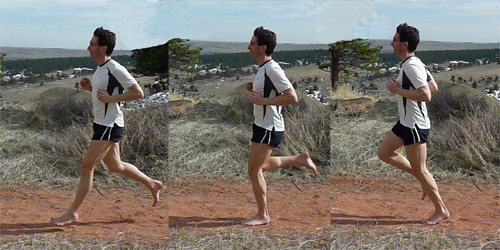 And try it barefoot to build up your feet and leg-strength or in your old shoes to at least prevent shin splints. While 100 yards sounds infinitesimally small, that’s the point. Because you just can’t hurt yourself in only a minute’s time, unless you really, really try. Add a minute a day, every other day for the first month. After that you can increase by two minutes a day. This sounds super conservative but do the math. You’ll be running 1-2 miles a day by the end of your first month, and up to 3-5 miles by the end of the second month, and without much chance of injury. That’s zero to 10K in just two and a half months. Can you do more? Sure But if you’re coming back from injury, why not take it slow and build yourself strong for a lifetime, rather than struggle with nagging aches, pains, tweaks and tears. Note: Remember the 10 percent rule, never increase more than 10 percent in distance, duration, or intensity a week. And if you’re already running 20 miles a week or more, I’d back that down to 10% a month, or 25% in a six month period. An example of what NOT to do. 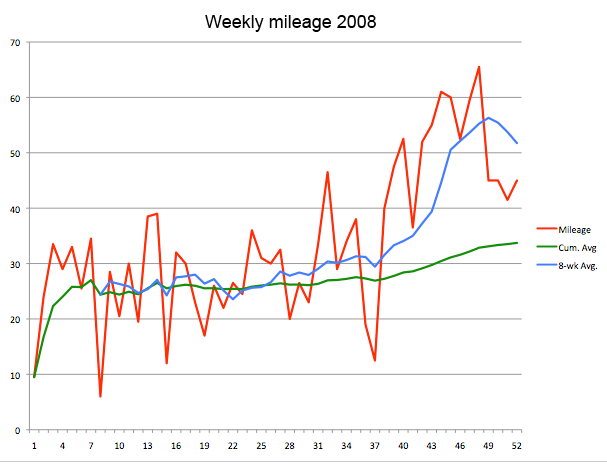 This runner charted an extremely erratic mileage progression. Make sure you get a training journal, diary or training app and log what you’re doing. Better yet, graph your workouts if you can, and make sure you don’t make any giant gains, marked by sudden spikes. The more you chart your progress, the more consistent you’ll be, the faster you’ll improve, and the less your chance of injury. Year round, weight-bearing exercises such as weight lifting and one-legged exercises are a great way to build healthy ligaments, tendons and even bones. However, come spring, I can’t recommend enough to my runners they spend some quality time in the gym, at least 6-8 weeks, before they hit their speed-work or really begin building their miles. I have them focus on slow and controlled, one-legged movements, no matter the machine, or free-weight exercise. This helps build a highly injury-resistant body that’s fast and ready for the work that’s ahead. If you want to run well and stay strong, head for the gym. A very common cause of injury is improper form. Even for the best runners out there, our form can always use tweaking and improvement for efficiency, keeping us healthy, and helping us run fast. The more you work on good habits early in the season, the bigger the dividends later on. And if you’re trying to set a PR or run a new distance, small changes in your form can make big differences. This means get a coach, do a video analysis, film yourself (this can be quite enlightening), run a treadmill in front of a mirror, or at the very least, read up on good form. And study other runners. Top runners. Watch races and study what the winning pros are doing, and then what the other guys or gals are not doing. The more you become a study of great form, the easier it will be to feel it out and to duplicate. Top 10 Tips to Get You Back into Running, Strong & Injury-Free! –... 10 Bodacious Benefits of Mindful Base Miles & How to Begin Today!